The Personalization Cloud at iGoogle - Will SEO Mean Anything? http://www.google.com/igoogle now redirects to http://www.google.com/ig … does that make it official? When Google Personalized Results (iGoogle) are turned on, the results you see in your search reflect your own personal preference, geographic location, and possibly “gadget influence”. So, if the new gadget maker is so easy to use, will we see a big proliferation of gadgets that make searching easier for people (e.g. expectant mothers information?) Could it become a “search results in a box” type system, with the results inside packaged like the the “finds” system on prefound.com. Perhaps we’ll start thinking about the user, not the results list. You’re talking about a specific customer at a specific point of consideration. Rather than talking about #1 in Google, we’ll need to talk about things in terms of engagement and hooks. Content is going to need to get a whole-ton better. This is a good thing, but it’s going to be hard for website owners to swallow. The offers on a web page for genuinely helpful information, targeted to the consumer at a specific moment in time, are key to conversions. Optimization of content for the customer and their consideration cycles is going to need to be built in to design and development. As much as the “pure designers” don’t like SEO/SEM types, we’re going to need to get along now. CMS-based sites are going to skyrocket in popularity, as are blogs-as-sites. It’s still unclear how many will build Gadgets, but what I see is a proliferation of hundreds of different little Googlettes, doing their own things based on rules. We’ll have no control over what the users see on their screen. They may see search results float over their screen like soap bubbles or fall over like dominos. We just won’t know. But one thing is clear, you can’t do SEO on an individual Gadget…. 5/1/07: Update: Now that I’ve tried the gadget maker, I’m underwhelmed. I love igoogle. 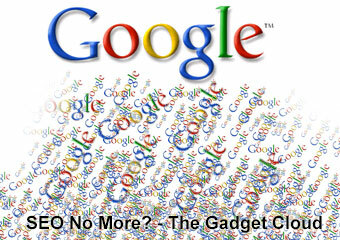 Where is my igoogle homepage?